WASHINGTON — No; it’s not a fox, although he sure looks like one! 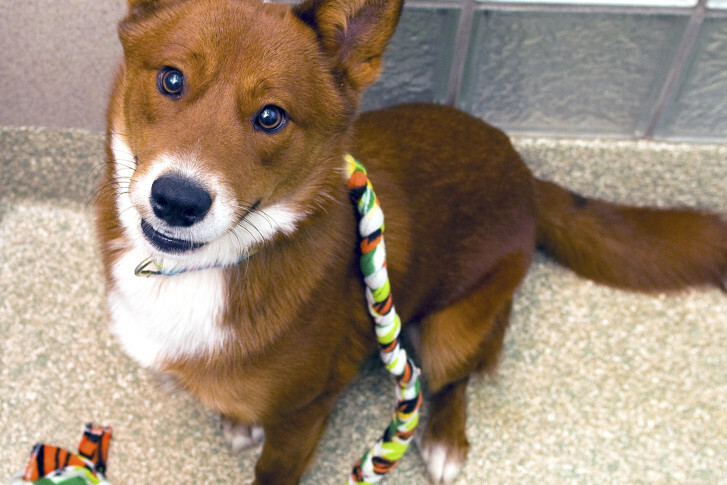 This is Two Step, a one-year-old Finnish spitz mix looking for a home. Two Step is one of many South Carolina shelter animals displaced by the influx of strays following massive flooding earlier this fall, and one of several who were brought to the Washington Animal Rescue League. He’s playful, energetic, and really enjoys the company of people — dogs, not so much. But that’s common for many pups. He’d love a home in the suburbs with a human companion who will play with him and take him for regular walks, and is prepared for the double-takes he’ll get from passers-by who catch a glimpse of his unique, fox-like looks!